This blog is part of the blog series about our Smart Coffee Machine. 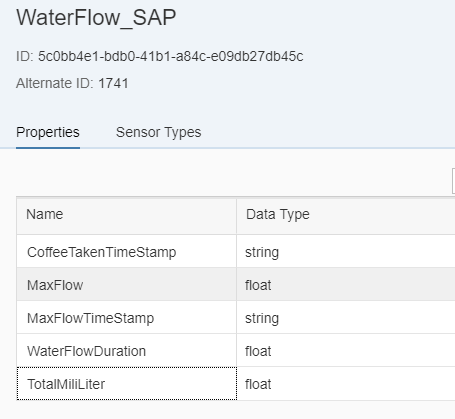 In the previous blog, Dries Van Vaerenbergh has explained how we connected the sensor to Raspberry PI, Installed an SAP Edge Gateway and how we send the data to the cloud. You’re probably wondering why the hell we’re installing an Edge Gateway on a Raspberry PI and why we’re not using the Cloud Gateway. 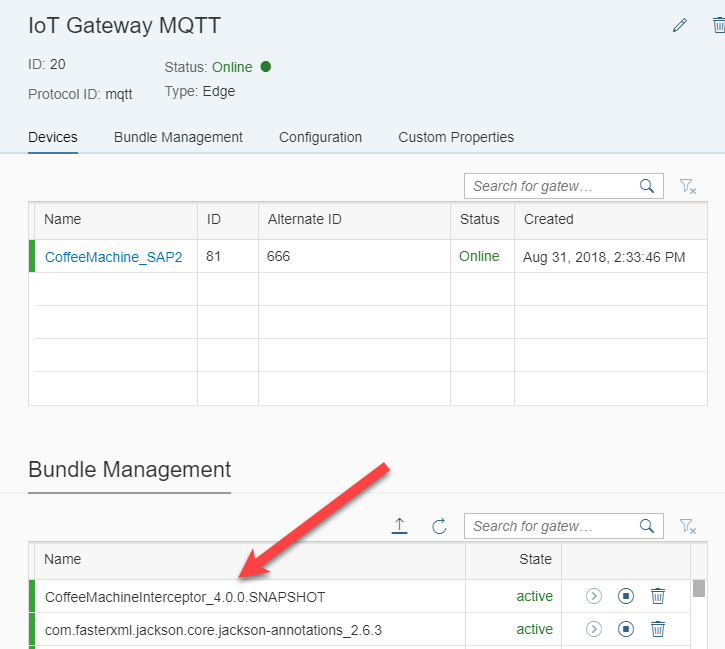 This is what I’m going to explain in this blog together with the device configuration in the IoT Service Cockpit. Let me start with the IoT Service Cockpit. This is the place where you can configure all devices with sensors and the capabilities of a sensor. The capabilities of a sensor will define the structure of the message that you need to use to send data from the device. This means that Dries needs to format his message in his python script exactly like I configure the sensor with the capabilities to be compatible. We have configured a demo Coffee Machine. This will have a sensor with a sensortype. The alternateid of the sensor is also something Dries needs for sending his message. Timestamp that the coffee has taken on the device. By default there is always a timestamp that IoT Service receives the message but it could be different from the real time that the coffee has been taken. In normal cases you would probably not even look into this part. 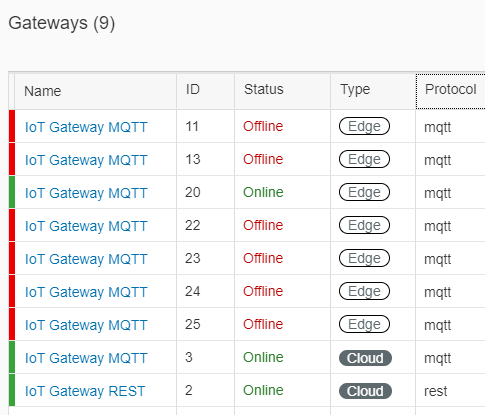 As we are using Edge Processing, this is the place where we can see the status of the Edge Gateway. Besides viewing the status, it also allows us to deploy interceptors! This is the interesting part! Third, what are the benefits? It allows us to add edge processing to our flow and deploy it remotely! Via the Cloud based interface, we’re able to deploy a new version of the interceptor to the Raspberry PI with the Edge gateway from anywhere we want. As mentioned before, we use the interceptor to define the type of coffee, but how does it work technically? 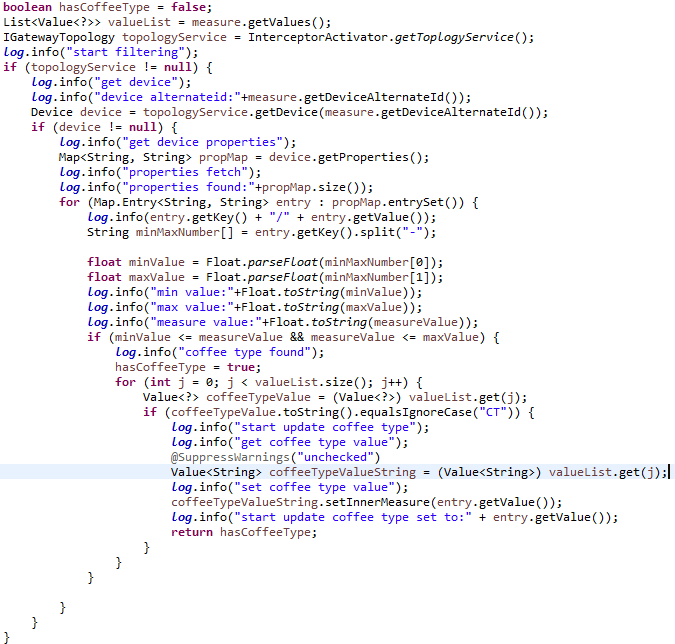 Before I explain the code, I need to point out one more part of the configuration. The amount of water that’s being used for a coffee can be different on each coffee machine. We’re (mis-)using the custom properties of the device to make this configurable and reusable for other devices. The key contains a range which is mapped to a type of coffee. In the interceptor we’re able to access the device configuration, based on the target of the message. We also have access to the values in the message that is being send to the cloud. This means we can compare the value with all the configured ranges and determine the coffee type. We had the same issue for determining the field for the Coffee Type. 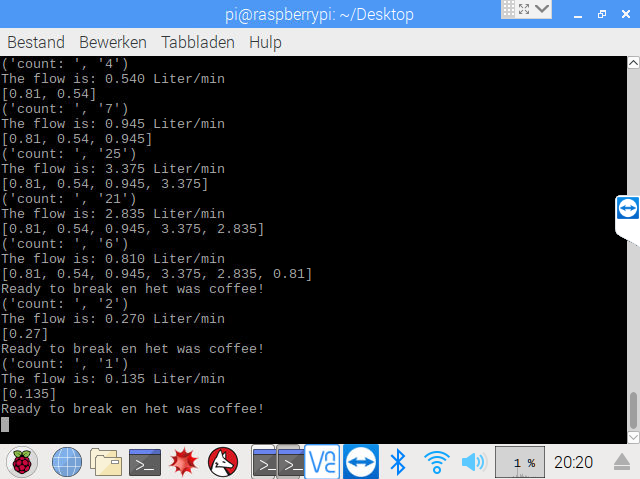 Here Dries has added “CT” as a placeholder in his python script so I could replace it with the Coffee Type. 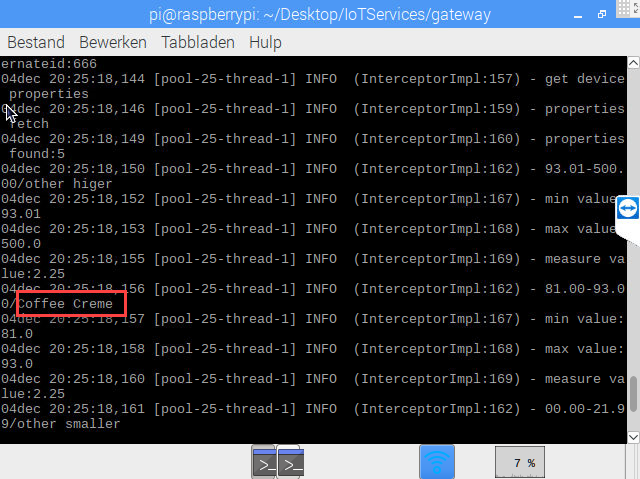 For testing the interceptor, we need to start by running the python script from Dries that reads the sensor data and sends it to the gateway. It will show all the logs printed by the interceptor with the determined coffee type. 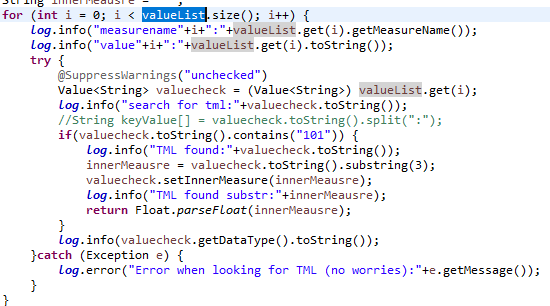 It will also mention when it drops values in case that the interceptor was not able to detect a coffee type. This is how we configured our Coffee Machine and made the Coffee Type configurable with different ranges for each device!